Fernwood Condos Provo Utah are located at 551 N, 200 E. Provo, UT 84606. The Fernwood Condos are BYU Approved for Females. The Fernwood Condos – Provo Utah were built in 2001 and are have 21 units. Please contact BYU offcampus housing to confirm the current status. These condos were BYU approved and city approved for four people. The Fernwood Condos feature underground parking. According to the MLS it appears that the first condos sold in 2001 for between $165k to $180k. The price difference is likely due to the level. Typically the price of a condo will be higher for a top unit. From 2001 to – 2004 the prices climbed to around $190k. From 2004 – 2010 the prices climbed over $200k. The last recorded sale sold a Fernwood Condo for $208k in 2010. Do You Own a Fernwood Condo? If you would like the Principal Broker Paul Teasdale to search the MLS for any recent sold condos at Fernwood give him a call. If you own one of the Fernwood Condos Provo Utah and are thinking of selling Paul Teasdale. Paul can help you list and sell your condo. Would You Like to Buy a Fernwood Condo? 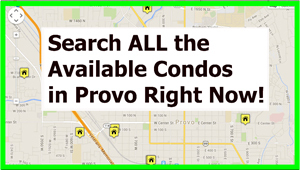 Would you like Paul Teasdale to find you one of the Fernwood Condos Provo Utah to purchase? These condos do not come for sale very often. It appears the owners are quite satisfied and don’t want to sell them. It looks like one comes for sale every year or so. 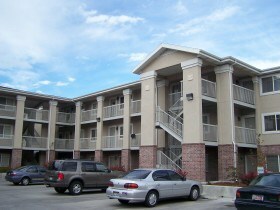 The Fernwood Condos Provo Utah are located 2.5 blocks South of BYU. Students like the location because they can walk to campus and don’t need are car. Parking at BYU can often be a challenge Monday morning when you are getting late for class. Walking to campus is really the best way to do it.